As an auctioneer, Jason wanted to produce a site with the most comprehensive database of information about Iowa farmland prices. We worked with him to create an interactive map, which allows users to click any of the state’s counties and get loads of information about each. If Jason’s got an upcoming auction in that county, the county’s page will highlight that in a dynamic sidebar that appears when needed. 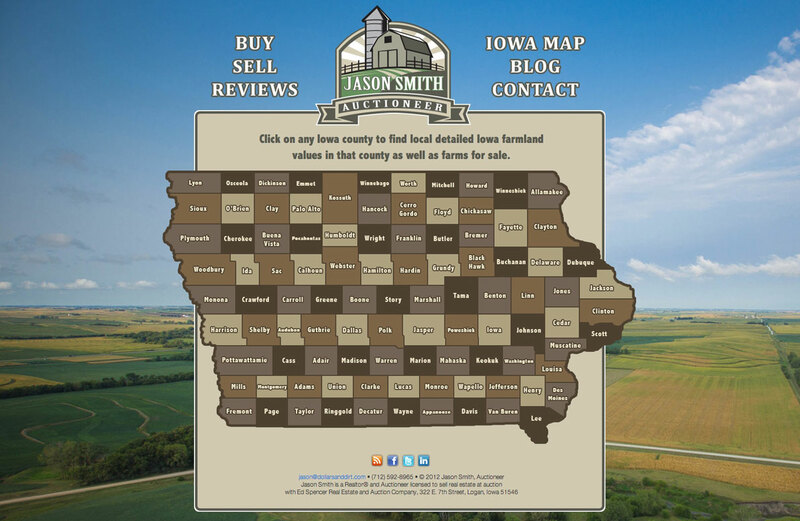 Jason Smith is an Iowa Auctioneer with experience in real estate sales including homes, farms, land and acreages. Providing professional auctioneering services in the Midwest for all types of auction events including real estate, estates, farmland, machinery and liquidation.